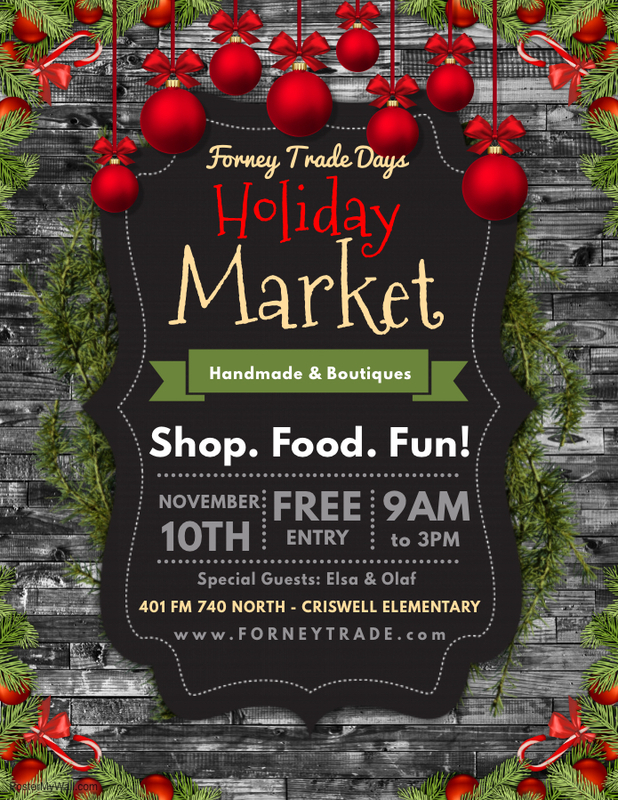 "Westminster Presbyterian Church in southwest Fort Worth is hosting its sixth annual Holiday Gift Market and hopes to again have 50+ vendors and crafters from around the Metroplex on hand to help shoppers get a jump start on their holiday lists. The event is FREE for shoppers. 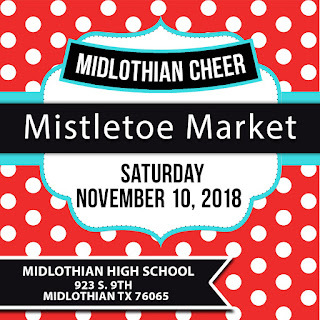 Vendor categories include bath & body, clothing & accessories, home décor, food, woodworking, and gifts for children, adults and pets. All proceeds will benefit local and international causes." 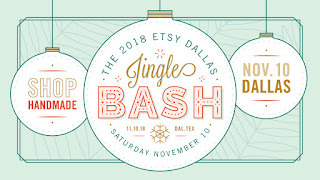 "Etsy Dallas' Jingle Bash, a premier handmade shopping event and party, will showcase the very best in local handmade apparel, bags, jewelry, home décor, accessories, art, pottery and more. 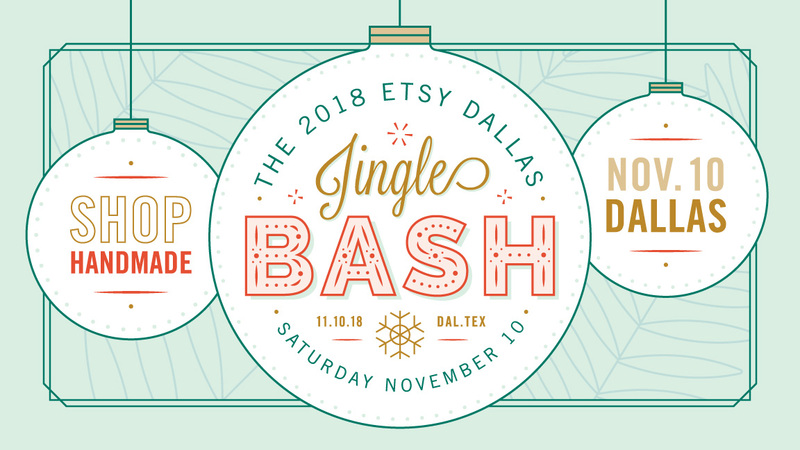 Hand-picked artists, crafters and designers from near and far gather at the Jingle Bash for one-of-a-kind one-stop shopping. Admission is FREE and kids and strollers are welcome! Get there early if you want to be one of the first 50 shoppers to snag one of our coveted Bash Bags filled with swag from our talented vendors! We'll have multiple bars on site plus a roundup of amazing food trucks to choose from. Visit our Make and Take table teaching fun easy to do crafts that you and your kiddos can take home. Be on the lookout for fun photo booths and Snapchat filters throughout the event." 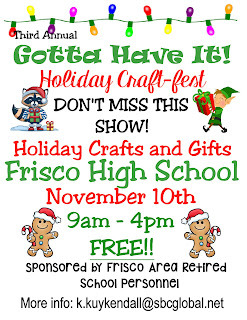 "This free event is sponsored by the Frisco Area Retired School Personnel. Funds are used to support our two scholarships to high school seniors in our area and to fund our book project for elementary schools. We feature awesome artists selling their wares and lots of Christmas gifts and excitement. " 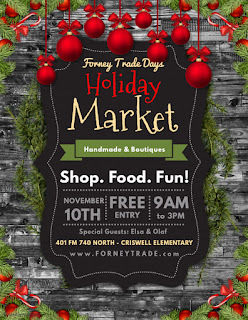 "Craft fair featuring over 100 vendors. Come shop for the holidays or find special gifts for your friends and family. Sponsored by the Plano West Band Boosters." 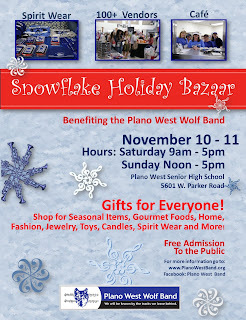 Corner of Parker Rd and Willowbend Dr.
"16th Annual Hand Made Merchandise Only Craft Show." 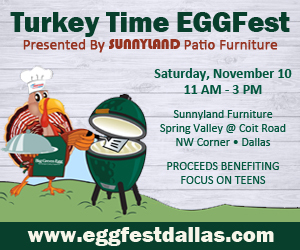 "Join us at Sunnyland Patio Furniture on Saturday, November 10th for the Turkey Time EggFest. The folks at Big Green Egg and local egg enthusiasts, will be grilling, roasting, smoking and baking their favorite dishes for Thanksgiving and offering a variety of items for you to judge! Enjoy cooking demonstrations from the "Eggsperts". We'll have unbelievable pricing on Big Green Eggs demo units, additional savings on all BGE accessories, and our Turkey Time Marketplace featuring everything you need for your Big Green Egg and your Thanksgiving feast. " 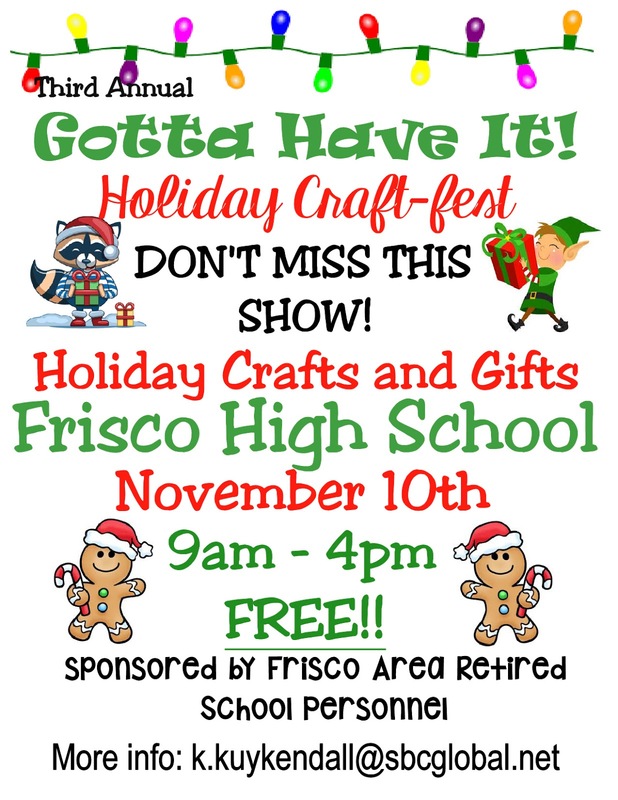 "Show includes 40+ vendors with original crafts such as woodworking, decorative wreaths, jewelry, greeting cards, mosaic art, metal sculpture, knitted and crocheted accessories, quilted items and much more. Light lunch served 11am-2pm. Baked goods also available for purchase. Free parking." "It's our 30th Annual Arts & Crafts Fair! 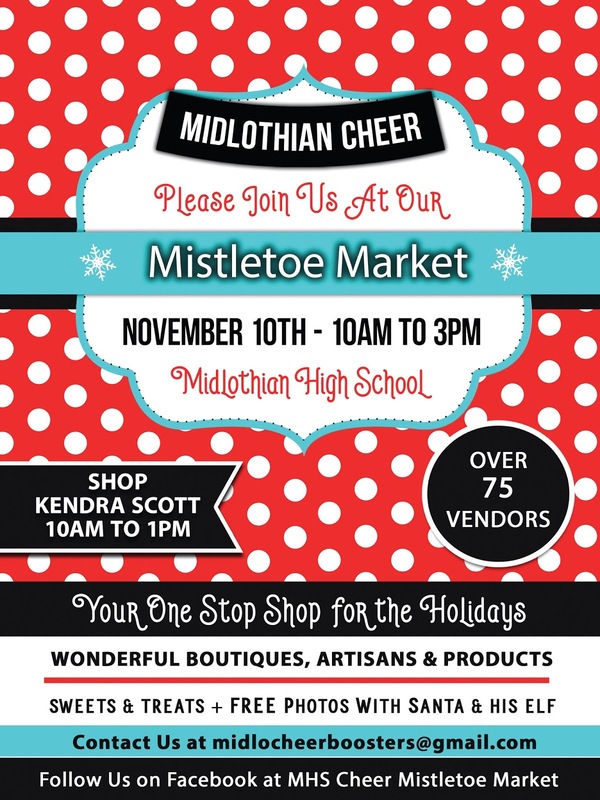 We will have vendors selling wonderful items as well as a raffle for a queen size quilt and a silent auction." "Join over 4,000 festival goers in our historic downtown setting for 15 Texas Wineries, Breweries, over 165 Artisans, Crafters, & Shopping Vendors, plus Great Food and amazing Live Bands. We have all the fun at Midlothian's Fall Wine & Arts Festival, Saturday, Nov 10th, 2018. The Festival is FREE! Wine Walk Tickets are $25 & include a Wine Glass, Shopping Tote and 12 Tasting Tickets." 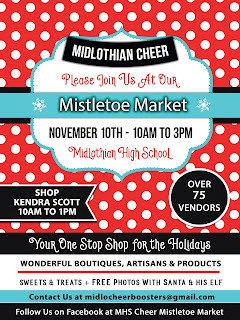 "Come with your family and friends to a holiday shopping extravaganza. 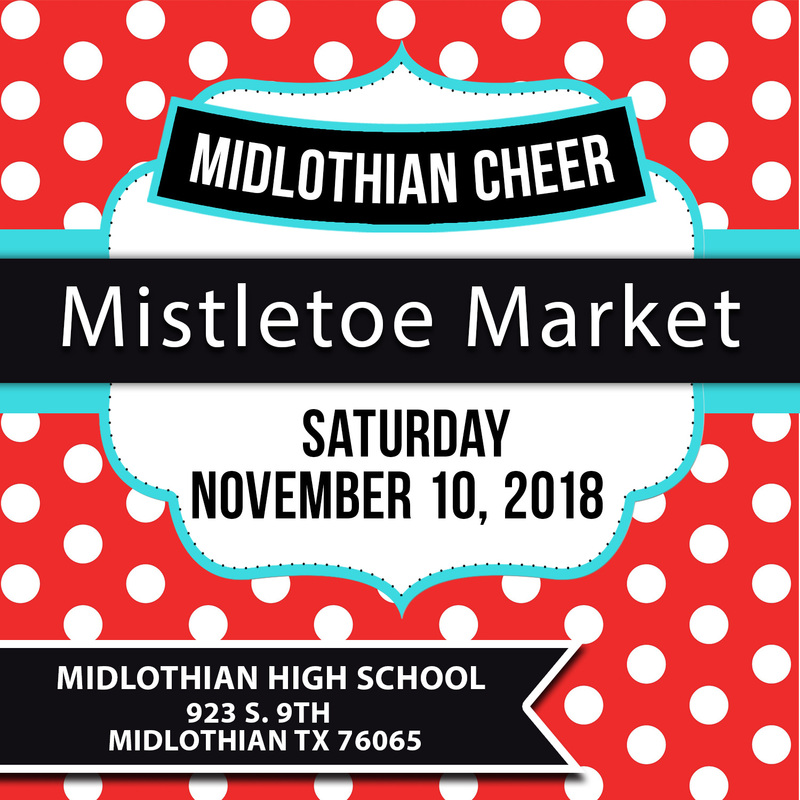 This school fundraiser will feature over 100 vendors selling jewelry, holiday décor, gift items, bath products, boutique clothes, candles, cosmetics, books, food items, and much much more. Get all your shopping done while having fun with your friends and family."